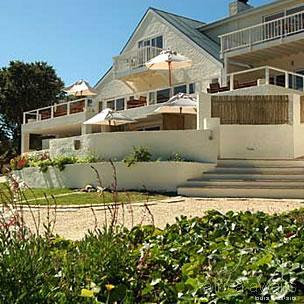 Amanzi Island Lodge boasts welcoming and relaxed accommodation on Leisure Isle. 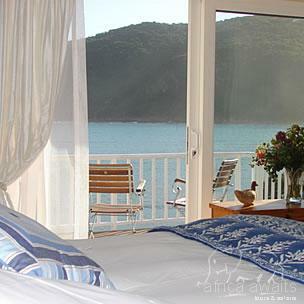 After a morning walk around the island, where you'll encounter the friendliest locals in town come back to Amanzi to enjoy a scrumptious breakfast of fresh fruit salad, breads, cheeses, local jams - and eggs and bacon for those who need a little extra sustenance for the coming day.Then head out to explore the many activities that Knysna and the Garden Route have to offer. Or spend a day on Leisure Isle relaxing by the swimming pool. You're welcome to take one of the bicycles for a spin and explore the island or paddle a canoe on the lagoon. A free internet station is available for guests to keep in contact with friends and family, and those who have brought their work with them can access our wireless network. After a hard day’s relaxation have a sundowner at the honesty bar and they'll gladly make dinner reservations for you at one of the nearby restaurants. 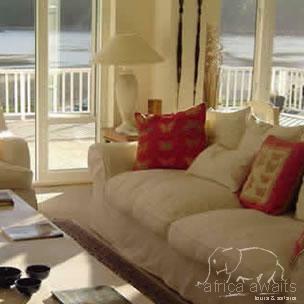 With your holiday, safari or business trip from in to Amanzi Island Lodge in The Garden Route.